The drop point blade is formed from satin finished Bohler M390, an Austrian made high performance steel with superior cutting ability and wear resistance due to its high concentration of vanadium and chromium carbides. 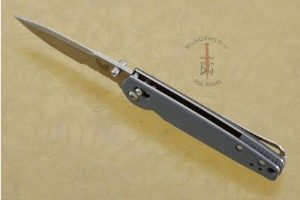 A long swedge travels along the blade both reducing weight and reinforcing the tip. 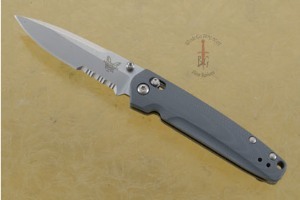 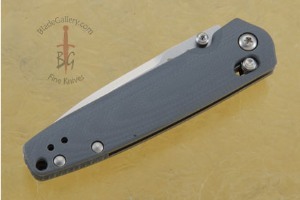 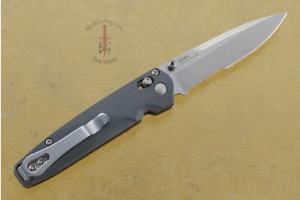 The blade flips open in a flash with the AXIS lock system and dual thumbstuds. 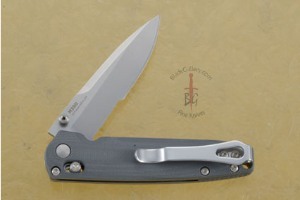 The blade pivot can be easily adjusted with a torx tool. 0.26611328125 0.1572265625 266.11328125 157.2265625 Trailer Completed.